Many android user do encounter “Screen Overlay Detected” error or "Access error" while opening an app in Android device. Sometimes we may feel angry when opening any app as the messages Screen Overlay Detected or Access error pop up in the screen. 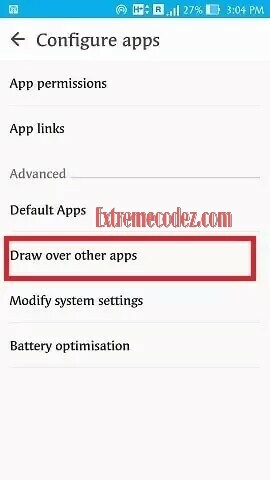 There is a feature known as “Draw” over other apps option in the latest Android versions. The Screen Overlay Detected can be easily fixed within seconds using this new feature on your Android mobile phone. You are here because you experienced the Screen Overlay Detected error or Access error on your Android device. 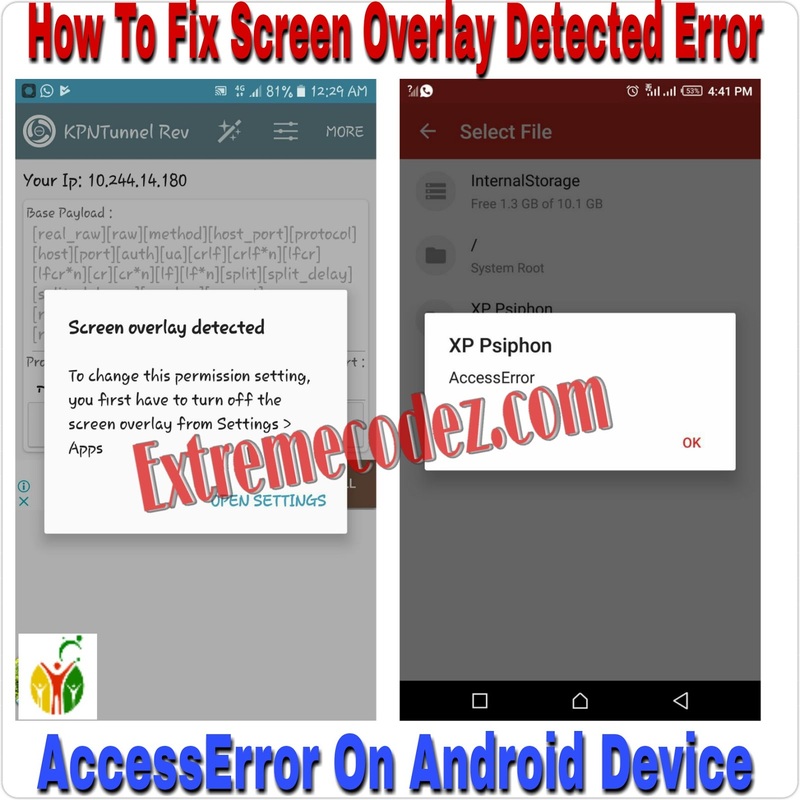 We'll explain in short, what is Screen Overlay and how you can fix the Screen Overlay Detected Error within minutes. Screen Overlap concept can be better explained with the help of an example. Just think about the Facebook Messenger, which pop up when we send or receive any message, even when we are using any other app. This means that Messenger can display their app on top of another app. This is what basically Screen Overlay is and we're not going to talk more about the technical aspects as everyone needs the solution to the problem. The “Draw over other apps” option helps to fix the Screen Overlay Detected error or AccessError in your Android device. Actually, it is an extra security measure taken by the Android to prevent some apps from doing unnecessary operations. You can enable or disable the screen overlay in your device easily and we'll explain the method to do it. 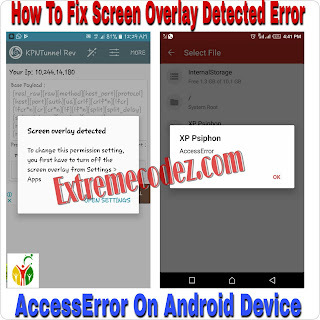 You need to know the best and easiest method to avoid the Screen Overlay Detected error and mention the easiest way. Just keep in mind that the method differs for different types of mobile phones and we'll explain the basic steps to avoid the problem. 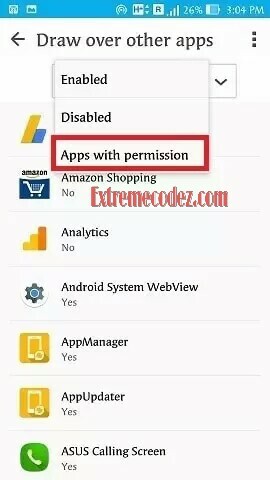 In this method, we disable the draw over other apps permissions of all apps to avoid the screen overlay detected error on the new app. Just follow the basic steps to get rid of the error. 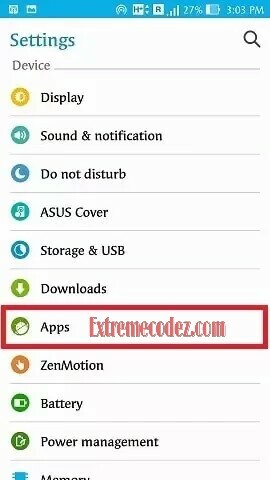 Open Settings of your Android Mobile (From notification bar or use the menu). Go to Apps and touch on Apps option. Touch on the Gear icon on the top right of the screen. Select “Draw Over Others Apps”option. You can see all the apps with the draw over other apps permission (select Apps With Permission from drop down list). In this step, you have to turn off permit drawing over others apps option for all the apps. Next close all background apps in your mobile and clear every opened app. Then open the newly installed the app which you are getting the error. It will work fine and you won’t see the “Screen Overlay Detected” error. You have to turn on the permit drawing over other apps option for all apps that turn off in step 5. Else that apps won’t work on your mobile and land in trouble. You can turn off the permit drawing over other apps option for apps that you are not using. If you have apps such as clean master, speed booster etc, it is the primarily cause for the Screen Overlay Detected error and it is better to avoid them. The “Draw over other apps” option helps to fix the Screen Overlay Detected error or AccessError in your Android device.